Dr. Mihaly Csikszentmihalyi has a story I've heard him tell on several occasions that illustrates the power of flow. Many years ago he went to visit a brother that he hadn't seen in a long, long time. When Mihaly got to his brother's apartment he was astounded with how many crystals and other geologic specimens were on display. It was like walking into a museum. Eagerly, Mihaly's brother beckoned him over to a microscope to show him his latest acquisition. Being a dutiful brother, Mihaly looked through the microscope for a few seconds and agreed with his brother that it truly was a beautiful rock. His brother then told him that on the day he received this specimen he sat down at the microscope after breakfast to look at it. When he next looked up from the microscope, he noticed it was much darker outside. Thinking it must be getting ready to rain he got up to close the windows. Only then did he realize that it wasn't getting dark because it was about to rain -- it was getting dark because it was evening! He had sat at the microscope all day with nearly no sense of time elapsing. How is it that Mihaly had looked at the crystal for a few seconds and gotten all the enjoyment he could muster from it while his brother could look at it for hours and seemingly be enraptured with it? The answer to that question is what I think makes flow such a valuable idea for work. Flow is the concept Dr. Csikszentmihalyi developed to explain the sense of optimal experience we get when doing something that causes us to lose track of time, feel fully engaged with what we're doing, and "lose ourselves" in an activity. To find flow in something you have to match up the amount of skill an activity takes and how much challenge it presents. Since Mihaly had no skill in understanding geology, the challenge presented by the crystal under the microscope was very low. However, for his brother (an expert on crystals) looking at the specimen under the microscope was like reading a book. He tried to determine where the crystal came from, how it was formed, how old it was, and probably countless other aspects of it I can't even fathom because my skill in geology is also nearly non-existent. When it comes to being more engaged in your work, whether you work for yourself, a company, or just want to get involved with a creative hobby or outlet, learning how to find flow in it is key. Given this story, a great way to develop the ability to find flow is to become more knowledgeable about whatever it is you want to find flow in. The nice thing about flow is that it's a constantly growing target. As you experience flow in an activity you develop skills that upset the skills/challenge ratio which means you need to find greater challenge (which then means you need to develop greater skills to meet that challenge -- and so on). 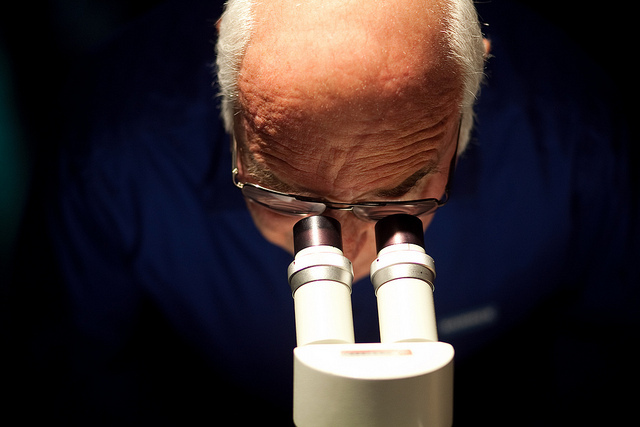 Was Mihaly's brother in flow the entire time he was learning about geology to the point where he could spend an entire day looking at one rock under a microscope? Probably not. I think Cal Newport's critique of flow in the framework of deep work is fairly valid. Sometimes building knowledge requires you to step outside of flow, to be in a situation where the challenge outweighs your skill to the point of frustration. As you battle to build the skills to fix that ratio you will find yourself in flow more often. In fact, being in flow is probably a better diagnostic tool than ultimate end-goal in itself. Being in flow means you're in a comfortable place between your skills and the challenge of your environment. In the case of a pleasant hobby then maybe that's enough. But in the context of work, spending too much time in flow might mean you aren't doing enough to push yourself forward. Use flow as a nice reward when it happens but be ready to step outside that comfort zone. Eventually, you'll be surprised by what you can do in the name of flow. What's the equivalent in your line of work of looking at one rock under a microscope all day and being thrilled with the choice to do so? How can you use flow to craft a meaningful career?